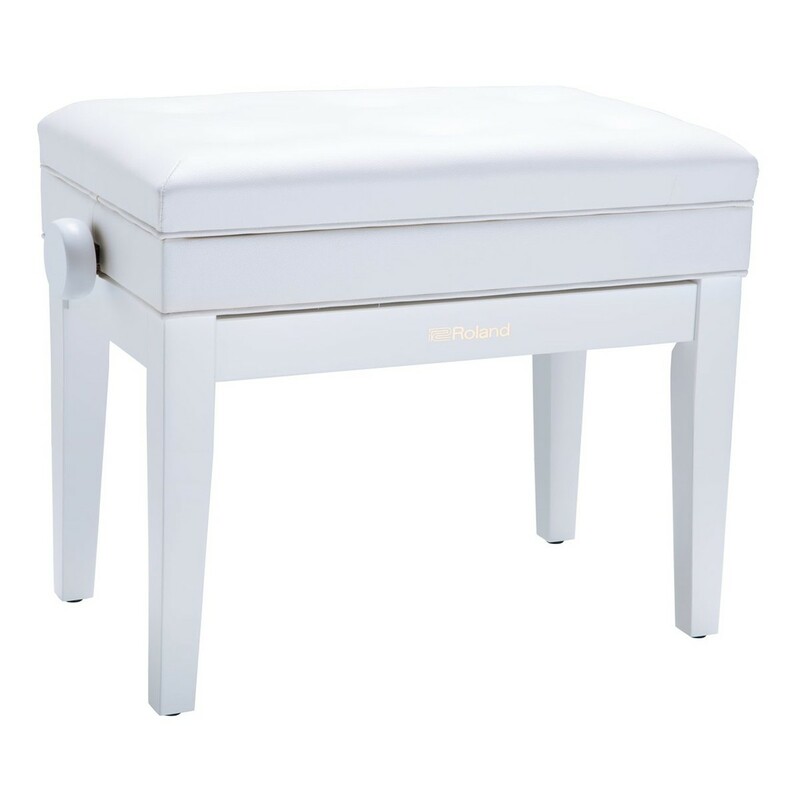 The Roland RPB-400WH Piano Bench features a storage compartment under the seat, ideal for organising sheet music and accessories. The thick cushioning is comfortable, as well as promoting the correct posture. 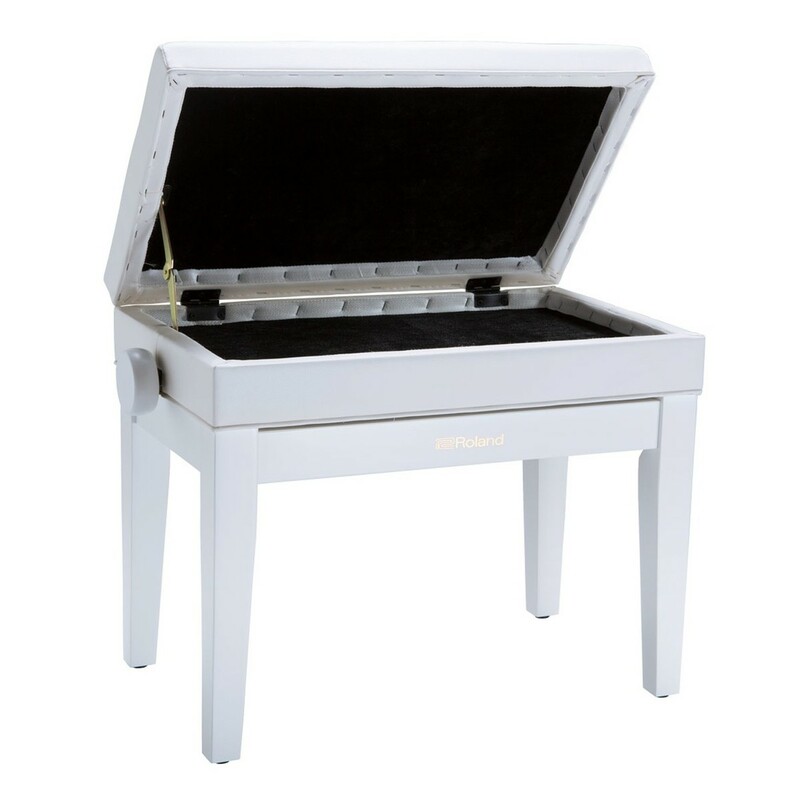 The solid wood frame is hard wearing for lasting durability. 10cm height adjustment means the stool can be altered for each player's preference. The seat's vinyl cover is scratch resistant and easy to clean.